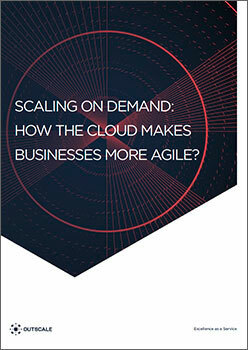 Scaling On Demand: How The Cloud Makes Businesses More Agile? Cloud computing is incredibly powerful - that much should be clear to anyone by now. If you’re paying even a little attention to the media, you’ve probably heard all about how cloud computing can make your organization smarter, faster, and better. We’re going to start things off by saying that everything you’ve heard is true - to an extent. Used right, the cloud can indeed make your business more agile and flexible than ever before. Here’s the kicker, though - you need to have some understanding of how it works, first. That’s where we come in. In today’s piece, we’re going to explain a bit about cloud scaling, and how it can help your business. Let’s start by talking about cloud bursting. The potent combination of mobile technology, the Internet, and the Cloud has fundamentally changed our society. Nowhere is this more evident than in the business world. In order to compete - and challenge market leaders whose portfolios span the globe - modern organizations must be faster, smarter, and more productive than their peers. Thankfully, agility isn’t quite so difficult as some would like you to think. At the end of the day, it’s really just a matter of having the right tools at your disposal and understanding how to use them. The most powerful of these tools is cloud computing... In other words, they must be more agile. How The Cloud Will Make Your Startup More Agile? Everyone has heard of the Cloud, but who really knows what it means? For several years now, the famous cloud has been everywhere yet elusive. And for good reason: all the definitions of the Cloud that you can find in books, newspapers or online are either incomplete or obsolete – often both at once. We won’t even try to define it ourselves, for we know all too well that any definition will only be temporary. Nevertheless, we can, without fear of programmed editorial obsolescence, single out one characteristic and nine essential attributes to verify if a service claiming to be from the Cloud is genuine. 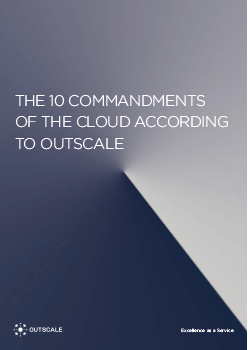 Taken together, this characteristic, these attributes and the interactions between them allow us to define our ten commandments of the Cloud. Why Do People Use The Cloud? If you pay even a marginal degree of attention to the news, then you know that everyone’s constantly abuzz about the merits of cloud computing. Journalists throw buzzwords left and right, babbling about how the cloud is essential for business agility and scaling up and out. Today, we’re going to sort through all that nonsense, and take a look at the truth beneath all the buzz. In other words, we’re going to look at what makes the cloud so formidable, and why people use it. What is it about cloud computing that’s made the technology so popular amongst small businesses and enterprises alike? And how can you use it within your own organization? We’ll start by quashing a few of the most common myths related to cloud computing.